Organizing the Visit Visa for most of the Gulf Countries. Translation facility in Arabic, French & Portuguese. Issuance of Recommendation Letters for Business Visa. Assisting in clearing the L/C discrepancy if any. 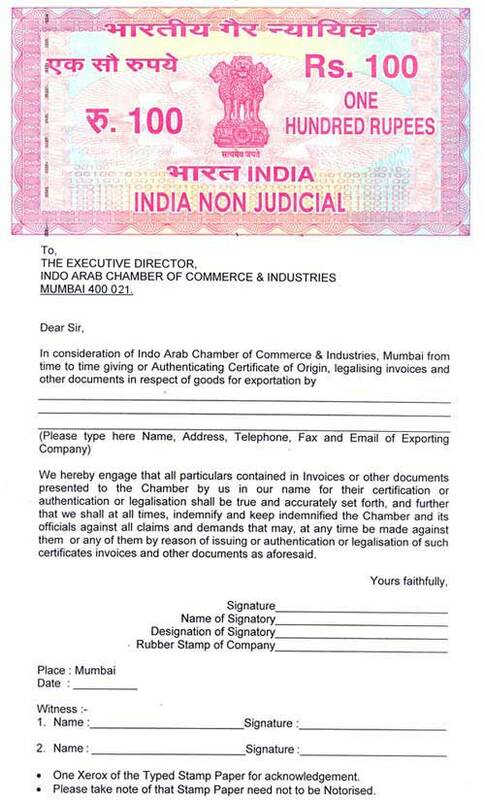 Legalization of the documents as per the L/C through any Arab Consulate / Embassy. 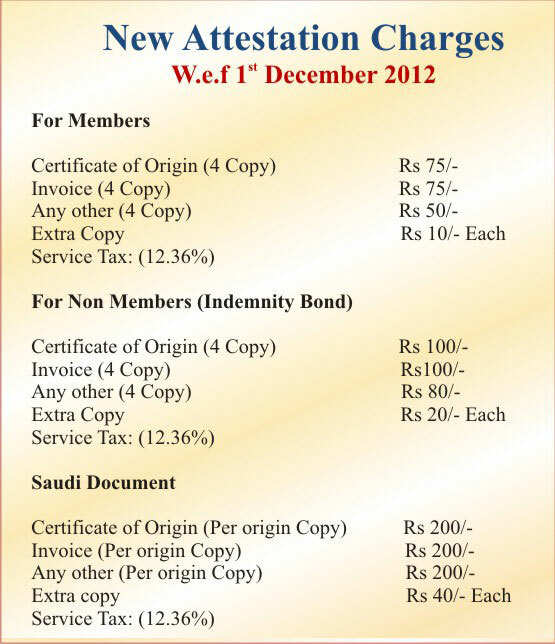 Facility of Attestation & Legalization at a reasonable rate to members. Recovery of payment from the Export proceeds…Arbitration. Seminars and Workshops On Matters relating to Indo-Arab trade and Industry. Participation in trade fairs and exhibitions. Indentification of products for exports to the Arab Countries. Work very closely with the Indian Missions in the Arab World and Arab Embassiess and Consulates in India. Click Here to View the List. Circulation of Global Tenders. Click Here to View Sample Circular. Organizing Buyer-Seller meet both in India and Arab world. Assisting in appointment Agents in the Arab World. Assisting in opening the Representative office in the Gulf. Assisting in identify Sponsorship, Licensing & other Infrastructure. Assistance in procurement of space at Free Trade Zone. Product Analysis, Feasibility study, Scale of Preference of the Customer. Information on nature & size of the market. Assistance providing the extra guidelines on Export - Import policy. Representing various recent Exhibitions in the Gulf like Al Fajer Intl; Dubai, Silver Star- Oman, Saudi Expo in Saudi Arabia. Organisation the workshop, seminars & Symposium with the help of EXIM BANK, IDBI, UTI, RBI, SEBI, Etc. Free data entry in Chamber’s Home Page & discount facilities for advertising on Internet. Assisting in Do’s & Don't’ clause in contract / MoU’s.